Why must we fight for good allergy labelling? 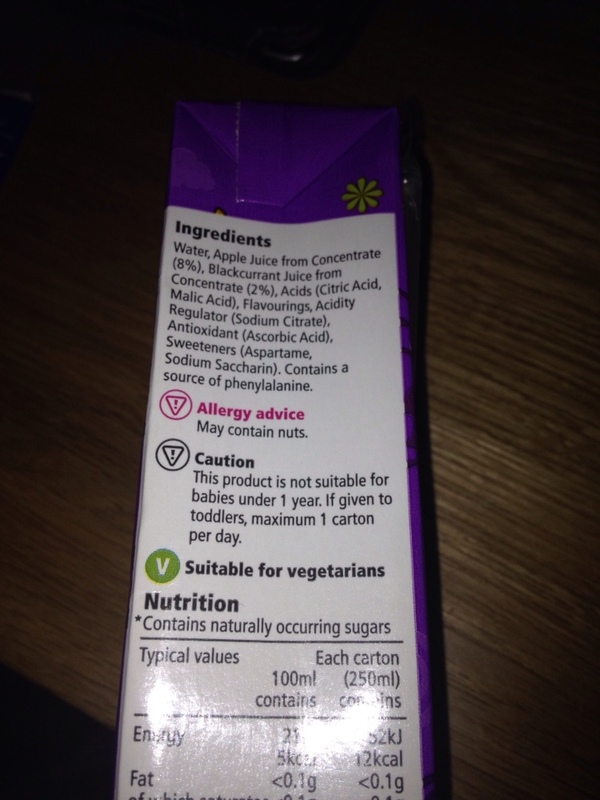 “Good food labelling is vitally important to parents who have children with severe allergies. 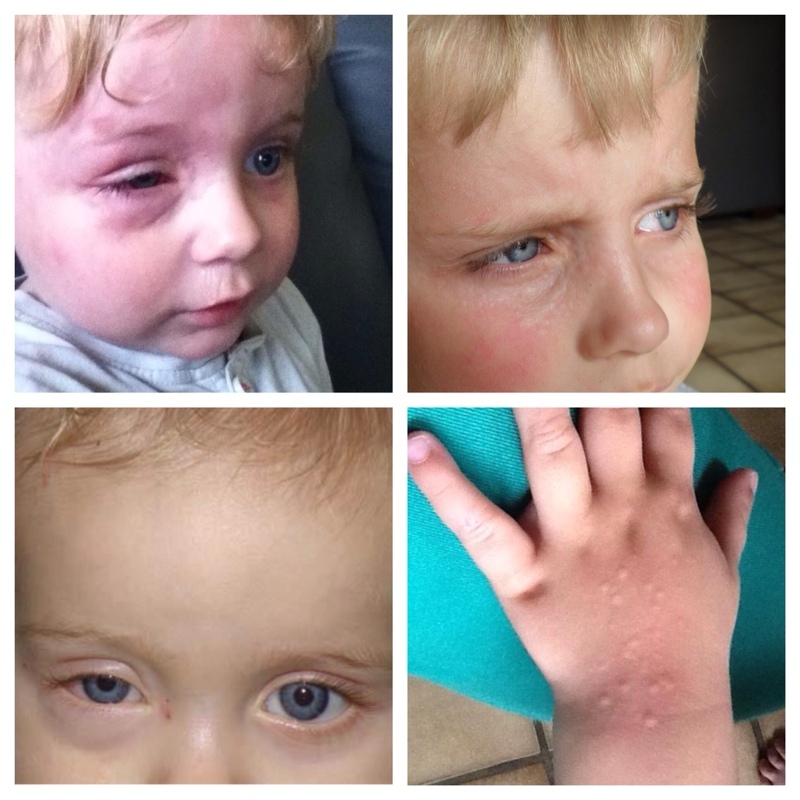 These reactions were triggered by my son coming into contact with (often invisible to the eye traces) NOT EVEN EATING his allergens. One reaction was from traces of a food eaten the day before. Imagine if he were to eat something with a trace of peanut, tree nut or egg in and his throat and tongue had reacted like that. Immediate onset means just that immediate. If you don't take the right action quickly enough then it doesn't bear thinking about. This is a picture and text I used on my personal Facebook page in response to an ongoing disagreement a few of us allergy parents are having with Tesco's new allergy labelling “policies”. What we have noticed is that previously safe Tesco brand products are suddenly all having nut warnings added. These warnings are being added to the most random and unlikely products; bottled water, fruit juice, squash, yoghurt, pre packaged veg and to more commonly labelled but previously safe biscuits as well. It is getting to the point where many of the UK based parents are having to shop elsewhere or are doing so out of anger at these changes. 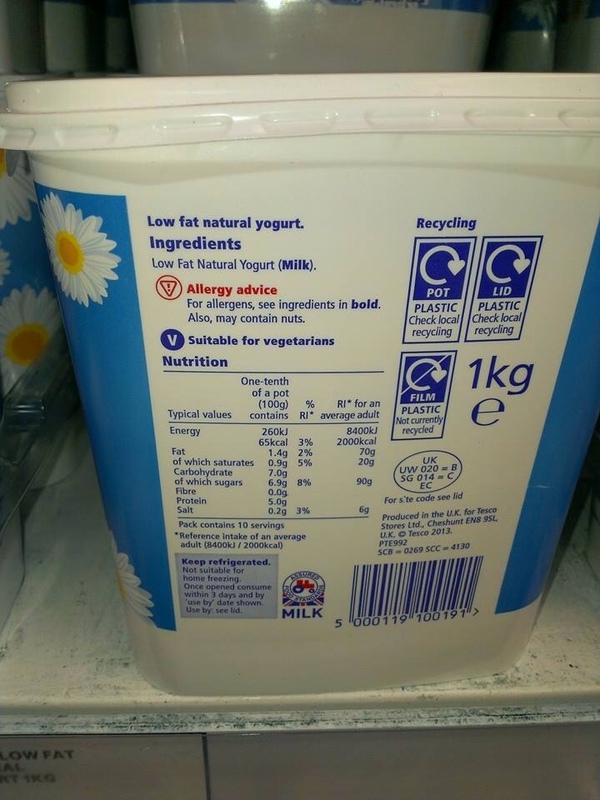 We have been pushing Tesco for answers on specific products, asking why that labelling has been used on those products and are getting nowhere. A company should know what is in their food or what potentially should or could be right? We all remember the horse meat scandal….. I shall add some pictures of the sort of labelling I am talking about. I want other allergy parents who may shop at Tesco to start checking all the food they buy, i want them to be aware. I do not normally add posts like this but this is something I feel very strongly about. 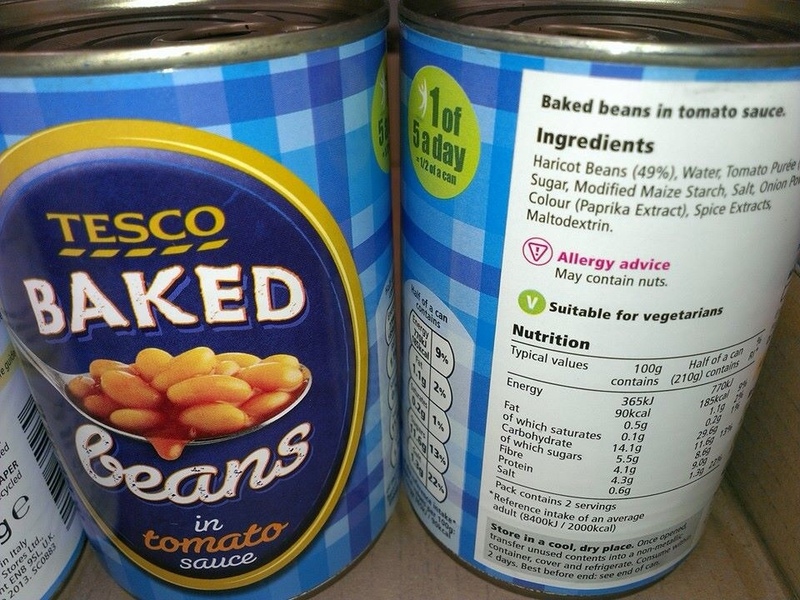 Many of us including myself are advised by our allergists not to risk buying any item with warnings of our specific allergens on them so you see the problem this presents. Why must we fight for good allergy labelling? Because Tesco is a giant of a company and they should exhibit best practice. They should set the example to everyone else because if others follow suit it makes shopping that is already a challenge for many of us a total nightmare. We must also fight for our kids, they deserve to have a future where if their allergies persist they have decent food choices. Fantastic post! Well done for raising awareness of this issue. Tesco need to come up with some decent answers. Great writing. Very kind of you, my writing could be improved upon but I hopefully got the point across! Could these warnings be because there all packaged ir handled in a factory that handles nuts? If that is the situation, then Tesco should have readily replied with this as the reason for the warning. However, Tesco is bumbling about with marketing weasel words and following some corporate line and failing to articulately explain the reasoning for their blanketing every single product in their range as “may contain nuts.” Other than the fear of being held liable should the worst case scenario happen, there appears to be no other motivation by Tesco. 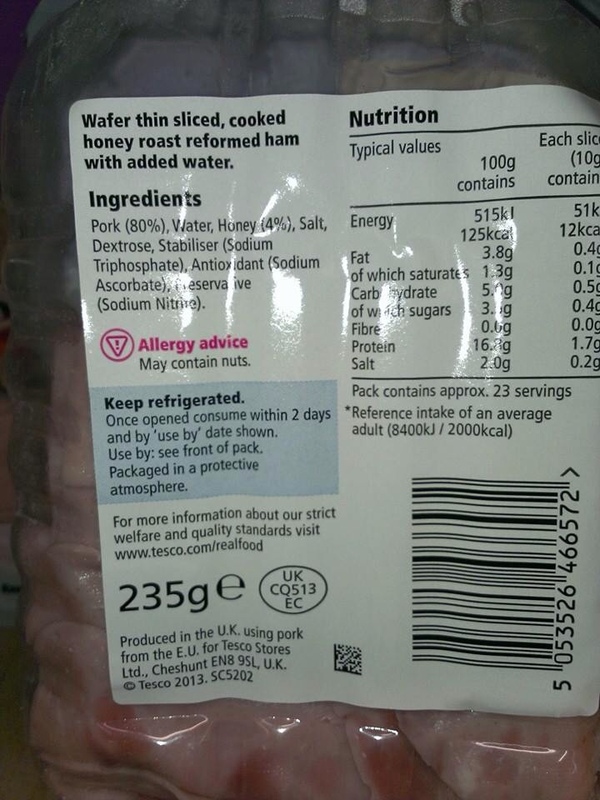 Or at least they have not sufficiently explained their reasoning behind labelling ham – as an example provided by Bev – with “may contain nuts.” Slaughterhouses now handle nuts? All packaging plants everywhere now handle nuts? It is absurd, and it is the absurdity of it all is what is frustrating parents who must protect their children. Personally, it is not an issue I have to deal with, but even I am annoyed by this. For one, it is a pathetic shield from responsibility, and secondly, it means this corporation have no idea what is in their product range. Exactly, and i think even-though you personally don’t have to deal with the issue of nuts, neither myself, but could this be a start of something? I highly doubt it. Why would they package nuts in the same place that they package fruit juice, squash, vegetables etc ? If they do then why is this not an issue with other major supermarkets like Sainsburys? Also if there was real presence of nuts in the factory there would be mention of “packed in a factory that handles nuts” and the company on request should be able to provide you with the reason for the warning so consumers can assess the risk. 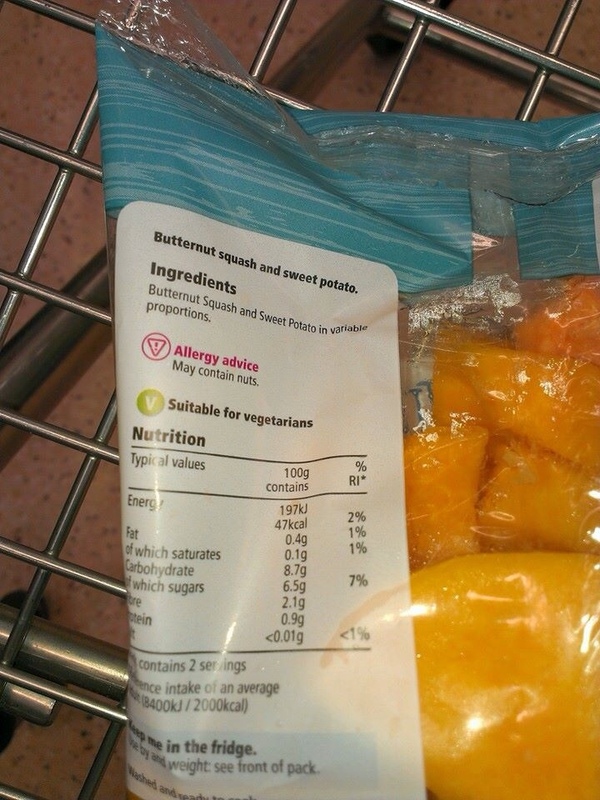 Tesco don’t seem to know why the warning is there and when asked initially a few customer service people said that the warning is being put on “all new packaging”. dont know if this MAY BE that the staff can eat nuts at lunch time in the canteen and may not practice correct hand washing practices? No it is pathetic. If Mrs Non Allergy Family went to Tesco and every product had written under the “may contain traces of nuts” this product “may contain traces of cyanide” would she buy it for her kiddies? Cos thats the severity of the impact to the rest of us!!! Trying to feed a multiple food allergy child is a nightmare and this does not help. The anxiety and stress caused to parents with food allergic children is made worse by this insensitive policy. If any of your followers would like to meet other food allergic parents we are holding support groups around the UK run voluntarily by parents of food allergic children who have been trained by St. Mary’s Hospital/Imperial College London in aspects of food hypersensitivity and group facilitation skills. For dates of meetings please visit our website. Thanks Katherine. I will share this in my facebook group.